FREE Consultation Now in South Orange County too! Scott is now available to see you in Newport Beach and San Juan Capistrano. Call (949) 833-1599 to schedule a FREE, No Obligation, Initial Parent or Couple Consultation Scott specializes in counseling Children and Teens ages 2 and up, Couples Counseling, and presenting Fun & Entertaining Parenting Seminars! Scott Peebles is one of Southern California’s leading experts on children, teens, and how to parent them. With over twenty-three years of experience counseling children and teens and helping parents, Scott has seen it all! From melt down tantrums, to school problems, to refusing to go to school and school phobias, to ADD, to frazzled and stressed-out parents ... you name it and he’s met the challenge thousands of times. A crying, screaming, total-melt-down, going beserk, out of control kid is home court and a walk in the park for Scott. It will be for you too! If you’re a parent desperately seeking help for you and your child—and you want to bring some joy and peace back into your home—Scott will be the answer to your prayers. He can provide you with uniquely specialized child and teen counseling services for the challenging behaviors you face with your kids and teens ages 2 an up. With his expert information and innovative strategies, he seemingly works miracles with obstinate, cantankerous, crotchety, and grumpy cherubs with his mansion of positive parenting tools, clear rules, and good common sense. Scott is the child behavioral expert Orange County parents, teachers, principals, and other counselors call on for his innovative, commonsense, and slightly off the wall strategies to help them solve the everyday problems they face with their students, their children, their teens, and their young adults. So whether your four-year-old wants to sleep in your bed every night … your six-year-old (or 10-year old or 15-year-old!) works himself up into a frenzy and cries everyday while refusing to go to school … or your fourteen-year-old with ADD needs help getting organized so he can succeed at school … Scott knows exactly what to do and what works. He will teach you how to solve the problems you face, while helping you become a more confident, contented, and happy parent. Parenting can, and should be, a joy! 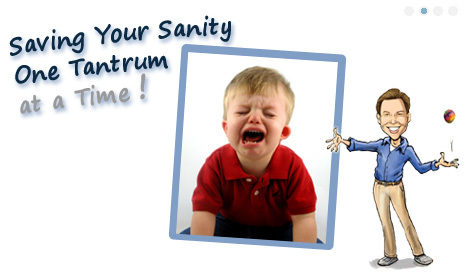 Stop the separation anxiety crying fits before school each morning, get your kid to class, and save your sanity! Develop consistency, a regular routine, and a loving peaceful home. 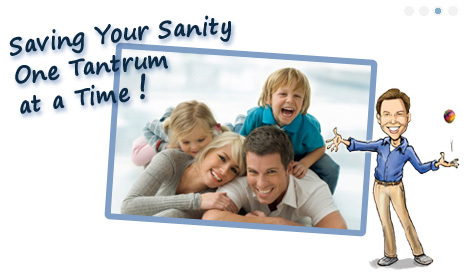 Become the consistent, loving, happy, and awesome parent you know you truly are! Click Here for more information about Scott’s counseling services for children, teens, and parents – and how his rare expertise and ability can help you solve the difficulty you and your family are facing. Or just give Scott a call today to begin getting the help you need for you and your family. When Scott spoke for the first time to an audience of parents needing help with their kids, he only did it for one reason – someone made him do it! As the old saying goes, “Never in a million years …” was his motto about public speaking. But little did Scott know, he has a rare gift. A gift he didn’t know existed until that fateful (or was it fearful?) day came – an innate ability to connect with, and inspire, an audience. The exhilarated reception he got from his first audience was surprisingly wonderful and amazing (well … it felt wonderful after he got over the paralyzing fear and terror that gripped his body for days before that very first event!). From this first presentation, Scott saw the overwhelming need from parents, educators, and other mental health professionals for simple, easy, practical, but powerful parenting tools. Tools they can use immediately to help them solve the everyday problems they face with their kids and teens. Tools wrapped in a presentation style that was fun and full of laughter. And today ... Scott Peebles is one of the most exciting and entertaining speakers on children, teens, & parenting in our nation. He is available as a professional speaker and trainer to help your school, conference, non-profit, or church encourage, inspire, motivate, and empower your parents, teachers, and staff. Are you searching for the speaker thousands of captivated parents have declared as, "The best parenting seminar I have ever attended!"? Then have Scott speak at your school or event! For more information on giving your audience a presentation to remember -- call to speak with Scott today to get your event on his schedule for this year. Or go to his speaking information page by Clicking Here to learn more about how Scott can help you with your exciting training needs. ... "that Scott's the couple's counselor we've been waiting for?" Are you looking to become a thriving, joyful couple who are enthusiastic about your relationship and thrilled to be together? Then click here for more information about Scott's counseling services for couples ... and how his expert ability can help you turn your relationship, or marriage, into the stimulating, fulfilling, and enduring partnership you've been wanting and needing. "Scott is a great, positive, motivating, and powerful parenting survival kit!" "... the best Parent Forum of the season! When I got to work, I had messages from each of the Guidance Specialists, expressing what a success your presentation at the Parent Forum was. I take full credit for knowing great talent when I see it! I really appreciate the support you have given our students, parents, and staff. I rave about you to anyone who will listen. Thank you again for all your time and many talents!" “I didn’t realize I was an ‘SOWP’, but I am! Now I know to do it and have fun with it more often. Thank you so much Scott for encouraging and teaching me how to be the best Mom ever. Your program is fabulous!!! "Scott, your program was GREAT!, TERRIFIC!, and VERY INSPIRING! I can't wait to impliment your ideas with my kids! I have learned sooooo much - thank you! "Scott's workshop was one of the best trainings I have ever attended ... bar none!" "Your enthusiasm and love for working with kids shows, and is truely inspiring"
"Scott was awesome! I wish we had more time with him. There was just so much great information. And, I can't wait to get the clicker! "